1st "Dropping Knowledge" segment of 2008, whose excited? I should let you know if you want more information about the Celtics just scroll down I finished a blog late last night AND if your wondering why there wasn't more NFL talk that will be released along w/ my picks for Divisional Playoff Weekend later in the week. 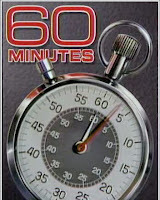 Forget about Roger Clemens, I watched 60 Minutes on Sunday night and you know what shocked me most? Not B-12 & Lidocaine, Not the Mike Wallace cupcake interview, and certainly NOT Rogers denial of steroid use. It was the interview prior to the Clemens sit down, with John Martorano, former hit man of Whitey Bulger. 12 Years in prison for the admittance to federal prosecutors of over 21 murders, WHAT?!!??!?!?! Congress isn't bringing these guys to a hearing but they are taking Clemens, Bud Selig, and Donald Fehr down to Washington to talk about things that don't mean SH*T in comparison. This guy is a serial killer and he is walking the streets as a free man because he said "I did it" not once, not twice, but TWENTY-ONE times. The most watched segment of 60 Minutes last night was easily the Clemens segment, during a show which featured the assassination Pakistans top opposition leader, Benazir Bhutto , which has a HUGE effect on the US relations with Pakistan, AND this mobster who murdered 21 People and did 12 years in prison, yet we concentrate on a guy who never committed a crime that hurt ANYONE and who spent his life playing a GAME. I'm stepping off the soapbox, but get your priorities straight people. Golf kicked off this week, no Tiger, no point in continuing. I just added something new to my "bucket list," (list of things I must do before I kick the proverbial bucket) this weekend I watched the Seattle Seahawks playoff game against the Redskins and I am ridiculously impressed by the football fans in Seattle. Coffee, Rain, & that big Needle Point thing, that is what I know of Seattle, none of which seems all that impressive. UNTIL Saturday I was going to make sure I never visited this city, EVER. Before I die however I want to not only witness a game @ Qwest Field in Seattle, but also be a part of what they call "the 12Th man" The fans were rabid, they were into the game, and as one media member called it, the loudest stadium in professional sports. 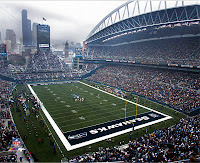 Watch a football game and cheer for the Seahawks at their home field, that's something you all should do. Tonight will prove NOTHING. The BCS is at its core a flawed system and nothing will change that, in the +1 system which is expected to give some teams more comfort on who the champion is won't satisfy everyone. Ohio State wins and they are the champions, they played the system better than anyone else. I hate the BCS, SO MUCH, there isn't a team in the country that will tell you they could beat USC, when healthy. Southern Cal would put the hurt on Ohio State, see what they just did to Illinois, they would destroy Georgia, Mel Kiper even pointed out that not one player on Georgia would start over a player on USC, and LSU? The preseason game everyone WANTED TO SEE, put it this way, I don't care if the game was in Baton Rouge I'd take USC. Better talent and better coaching. The top (3) teams in the league are Boston, San Antonio, & Detroit. Since Michael retired this is the first time that two of the top three teams in the league reside in the Eastern Conference. Thank you Kevin Mchale. Both Boston & Detroit have gone 9-1 in their last 10 games, the losses are to each other. Boston has yet to face the likes of Dallas, Phoenix, San Antonio, and Houston with Tracy McGrady. Those four teams you could assume would give the C's problems then again the C's would give them a handful of problems as well. Detroit has great guard play, shooters, and inside presence but at least we know what we will be getting come the Eastern Conference Finals. 7 Teams in the NBA have a shot at winning the championship, you could exclude Dallas given their recent playoff struggles. Utah isn't there just yet, and neither is Portland. The Lakers are who they are and so is Denver. A 7-gamer against Orlando, with either Boston or Detroit might play the biggest role come playoff time. That battle could significantly impact how much Boston or Detroit has left when they get ready to play each other. Cleveland, well they are in the same position L.A. is in, except they play in the Eastern Conference so LeBron is able to take them a little further than Kobe could.
. . . . . thas all folks.